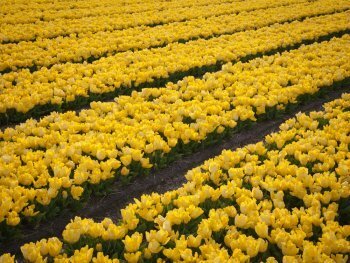 Tulip fields near Amsterdam - When and where to find them! Spring in the Netherlands means colored fields as far as the eye can see. The tulip fields can be reached within an hour from Amsterdam. 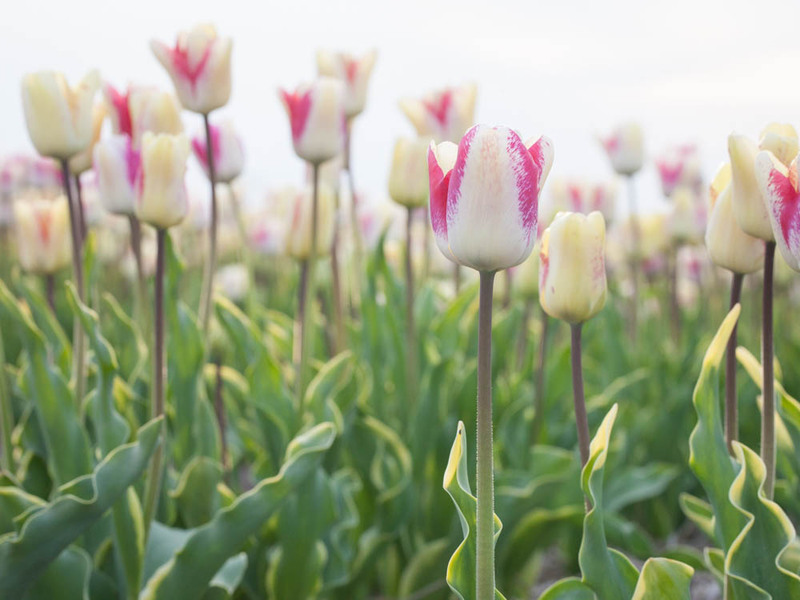 When should you visit the flower fields? The flower bulbs open, and the first flowers show their leaves near the end of March. But if you want to see the flower fields in all of their colored glory, April is the month to visit. Most of the fields are not there to grow tulips that will be sold in stores, but they are there for the production of tulip bulbs. That is why, at the end of April and the beginning of May, the flower heads get chopped off. The cutting of the tulips, may look like a terrible act of destruction, but this is done so that the remaining energy of the flower gets directed back to the bulb, so that it will bloom better and stronger. Where can the Tulip fields be found? 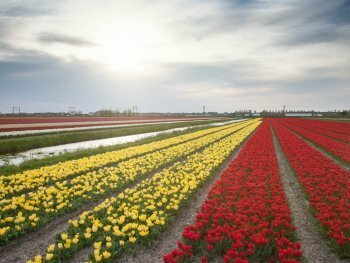 There are flower fields all through the Netherlands, but the area that has the most fields is called the ‘Bollenstreek’ or Flower Strip. This is a part of the Netherlands that stretches from the city of Leiden to the city of Haarlem. In the center of the Flower Strip, you can find the famous flower garden ‘Keukenhof’. With more than seven million flowers, it is one of the largest flower gardens of the world. 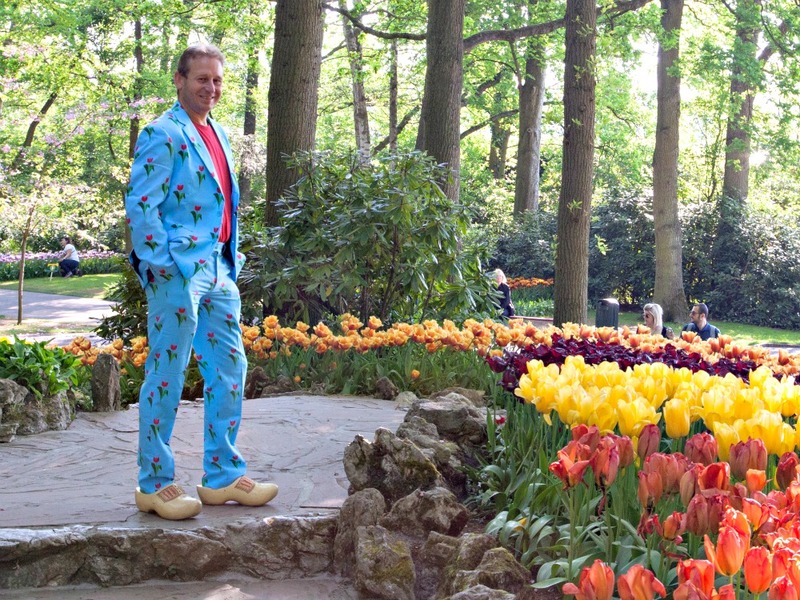 Keukenhof is open from the middle of March to the middle of May. The best way to explore the Flower Strip is by bicycle. Feel the wind in your hair, the sun on your face, and smell the flowers in the air. There are many places where you can rent a bike, such as Noordwijkerhout and Haarlem. But we recommend that you rent a bike at the Keukenhof flower gardens. During their opening season, they offer bike rental for €10,- a person. There are multiple cycling routes that are indicated with signs, ranging from 5 km. (3 mi.) to 25km. (15 mi.). You can reach Keukenhof by public transport from Amsterdam, by taking a train to Schiphol Airport and then a bus to Keukenhof gardens. It takes about an hour to get there. Check out the public transport here. Within 45 minutes of driving from Amsterdam, you will be in the heart of the flower strip. 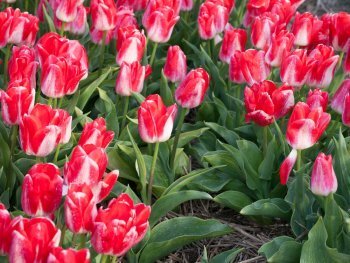 Visit some of the pretty tulip fields by following this small route. You start and end at the Keukenhof flower gardens. Most flower fields are easily accessible, but some of the field owners have expressed their concerns about tourists damaging their fields. To keep these beautiful fields open and free to access, please follow the following guidelines. If you want to pick flowers there is a special field called Annemieke’s Picking Garden in Hillegom. Here you can walk through the field and pick your own flowers. A bouquet of flowers costs approximately €6,-. Walk on the big paths that separate the fields, but not in between the small strips between rows of flowers. Even though you might think you are careful, you will still damage the bulbs or stems. Park on parking lots, don’t park on the nurseries property. Make sure you leave room for other cars to enter or exit the area. Following these guidelines, you will have a great day exploring the flower fields.